We’ve previously discussed the importance of Facebook’s Locations structure (which used to be called Parent-Child) for multi-location businesses or franchises that want to establish a local Facebook presence for each store while maintaining brand consistency and control. We have received many questions on the details of setting Locations up, so this article will walk through how to set up and use that framework. To get started, you first need to “turn on” the Facebook Locations framework, which establishes a master (or parent) page to which you can then add locations (or child pages). Unfortunately, there is no self-serve method of turning on the framework, so this step must be managed either by an agency such as Reshift Media or through your Facebook rep. Once the Locations framework is initialized, you’ll be able to add any new pages that arise in the future on your own without going through a third party. The Locations structure can encompass both new and existing child pages, so even if you have existing Facebook pages that already have content, likes, check-ins, etc. you can bring them into your Locations structure as child pages. In addition, if local store owners are already admins on existing child pages, they will remain so once those pages are adding to the Locations framework. Absolutely nothing will change on your existing pages in any way. However, the admins of the parent page will also be granted administrative rights to all child pages. Store Number: a numerical value unique to each location. This must be less than 10 digits. Page ID Main Page: this is the numerical Facebook ID of the page you’d like to designate as your main parent page. All child pages should designate the same Main Page ID. Do not put the full Facebook URL in this field. You can find your Facebook ID at the bottom of the “Page Info” tab of your admin tools, or by using this tool. Facebook Subcategory: this is the primary subcategory associated with the page. You must use one of Facebook’s approved subcategories (e.g. – Food & Restaurant). Facebook Subcategory 2 & 3: you are able to add two more optional subcategories (e.g. – Bakery, Coffee Shop). Street Address: there is a maximum of 40 characters in this field. If the address spreads over two lines, consolidate it into one. Country Code: two characters max (e.g. – US). Franchise: is the location part of a franchise, or is it a stand-alone store? Fill in Yes or No. Facebook Web Address: this will set the vanity URL for the location’s Facebook page. The only valid characters are letters, numbers and periods (e.g. – www.facebook.com/StoreABCNewYorkCity). No spaces or symbols are allowed. This field is optional. Website: this can be the corporate website, or the specific website for each location. Store Hours: this should be filled in using military time style where Monday is 1, Tuesday is 2, etc. (e.g. – 1-5:0900-2000, 6:1000-1700, 7:1100-1600). Description: enter an optional one-sentence description about what services the location provides. This will appear in the “long description” field of the page’s settings. Other services: this is an optional field that allows you to include any additional services each location has (e.g. – ATM). If you are including existing Facebook pages in the spreadsheet, you also need to include a field that specifies the existing Facebook IDs. Since Facebook has partnered with Bing to deliver its mapping functionality, we suggest using Bing Maps to look up the latitude, longitude, and proper address formatting. (For example, “96 Federal Highway North” shows up as “96 N Federal Hwy” in Bing Maps.) Inputting the addresses in Bing Maps format will reduce the chance of errors when your spreadsheet is processed through Facebook’s Locations tool. Once the Locations structure is enabled, visitors to the parent page will see a “Locations” tab instead of the “Map” tab. This tab works on mobile, unlike the proprietary store finder apps many brands use on their Facebook pages. Clicking on the “Locations” tab will bring up a map of all of the brand’s locations (or child pages). Visitors can click on any individual location to see address, phone number and store hours. Clicking on the store’s name will take them to that store’s local Facebook page. If you’re an admin of the parent page, you can also access a full list of your child pages by hitting the “Edit Page” button at the top of your parent’s admin panel and selecting “Manage Locations” in the drop down menu. That will take you to a page that lists all of the location/child pages. Besides being able to get a quick view of your child page stats (store number, name, address, reach, likes, check-ins), you can also add new child pages, or bring existing pages into the Locations framework (assuming you have admin access to them) using the “Add a Location” button. If you have a lot of new pages to add, you can upload a spreadsheet such as the one above using the “Import Multiple Locations” button. The same page name, cover photo and profile image will appear on all of the new child pages by default, though parent and local admins will still have the ability to update them. Check-ins across all child pages will roll up to the parent page, though likes will not. Once individual Facebook pages have been set up for each location, corresponding Places and Community pages can be claimed and merged. One of the big questions we are frequently asked is how companies can effectively manage all of their pages once the Locations framework is enabled. Unfortunately, the framework is designed to connect pages, not necessarily to manage them. The Locations framework is extremely valuable in that it allows brands to establish a local presence and improve brand consistency, however, it does not enable you to cascade content from the national page to child pages or access amalgamated child page analytics and notifications. This is not to say you are out of luck. You can use tools such as Reshift Media’s Social Brand Amplifier to make the management of your child pages easier. To learn more about implementing Facebook Parent-Child for your multi-location business, email info@reshiftmedia.com. Steve is CEO and Co-Founder of Reshift Media. He has over a decade of digital marketing experience and has launched many of Canada's largest and most trusted offline brands onto web and mobile. If you already have a main corporate facebook page, and multiple pages for the business in various locations…if you then add them to this framework, would you lose any of the fans from any of those pages? So for example, if I have a main page with 50 fans, and a few other pages with 20 fans each. And then I hook them all up to this framework…would i have a parent page with 50 fans and child pages with 20 fans each still? Also, I read somewhere that facebook was hinting at the possibility of a grandparent function. but now that the whole parent-child framework has been changed to simply locations, I wonder if this is still a possibility. Do you have any thoughts on this? My challenge is that my client is based in Germany. They created their main account in German, and then created multiple other stores for all of their locations in different cities throughout Germany. Now they want to go international with a new page…but also keep their huge fan base on their main German page. My suggestion was setting up a new facebook account as their international/corporate page and build up the fan base from there. But I’m not sure what the best strategy for setting up locations is. They definitely want to do this. If there will be a grandparent type of function, it would be simple to decide on the English page as teh grandparent. But in the mean time, I would suggest setting up Germany as the parent and the German cities as the children. And for the international page, just leave that as separate and not hooked up to this framework. Hi there. Love your profile pic. First answer is that your likes on each page will stay exactly the same. So if you have a main page with 50 fans and a few other pages with 20 fans each then after you set up Locations you will have a parent page with 50 fans and child pages with 20 fans each. – Once this is done, then you can implement Facebook’s Global Pages functionality which will then allow you to set up a “worldwide” page with the German parent page as a subsidiary of that international page. Essentially achieving the “grandfather” approach you are seeking. Dove has done a great job of this (see: http://www.facebook.com/Dove). What Global Pages does is detect which country you are coming from and automatically re-direct you to the pertinent country page. So if you go to the Dove FB page from Canada, you are redirected to the Canada page. If you go from the US, you see the US page, etc. You can also have an “international” page that works for any locations where you don’t have a country page. You can play with this a bit on the Dove FB page by changing your country of origin through the little “gear” icon under the cover photo. I’m managing 62 locations, and for a couple days have been battling this error in the bulk upload: Warning: your Location Page’s latitude/longitude coordinates don’t seem to match the address. I’ve tried getting the coordinates from three different sources, and nothing works. Is there a way to get live help from Facebook on this? Yes, it can be pretty frustrating. Facebook uses Bing as a mapping engine, so always use Bing as your source of lat/long. Also try uploading your spreadsheet more than once – sometimes you receive an error message and when you try a second time it works fine. The upload tool is a bit finicky that way. If all that fails then yes, you should contact your Facebook rep.
Hope that helps. If not, you can contact me at sbuors@reshiftmedia.com. So…. Steve, the ‘only’ way to do this is to work via an agency like yours? If that is indeed the case, I need you to find me, stalk me, message me, and we can figure out the details from there. Ha! Happy to chat anytime, Brad. My direct contact is sbuors@reshiftmedia.com. I’d like to list locations for 14 different locations, but don’t want child pages for all the pages. So one Facebook page but a way to list all locations. Is there a way to do this? Hi Cara. Unfortunately one Facebook page cannot have multiple addresses. You can put in all your addresses in the “about” field of your corporate page if you like, but then they are simply text in a field – they are not recognized as addresses in Facebook and provide you no real benefit beyond someone being able to read them. If you would like each of your locations to have the benefits of having an address in Facebook (checkins, graph search, etc) you will need to create a page for each location, I am afraid. Hi Elena. Unfortunately there is no “self serve” option, so you need to coordinate directly with your Facebook rep (if you have one) or via an agency such as Reshift. We are in the UK, and have 55 stores. Having just started to implement a Meraki wireless solution, I have been trying to contact Facebook in order to offer Facebook WiFi across these stores, and need to setup multiple locations. They never respond to the form completed online in the wifi help pages. Are you able to help a UK company do this? Hi Simon. Yes, we can help on both counts. We have dozens of worldwide clients (including some in the UK). I can be reached at sbuors@reshiftmedia.com for further info. Thanks! Hello Steve. We only have two stores but the owner really wants to have the Locations set up on Facebook. Is there anyway youor Reshift can help? Hi Jason. For 2 stores the Locations framework is unnecessary. You can easily set up and manage pages for each of the 2 stores. This provides you all of the same functionality other than the store locator. My advice would be to create individual pages for each store and consider the Locations framework once you reach 10 stores. Steve – Is there a way to setup this child-parent structure so anything posted on the parent page would trickle down to the child pages as well? I’d like to estabish a “master” page with content that appears on all child pages while still allowing for local posts via the child page admins. Steve- I am a franchisee in a restaurant brand with 70 locations. I set up my business page in 2009, and now have an active following of nearly 2,000 fans. I reguarly pay to boost my advertisements and posts. My franchisor is just now realizing social media is a thing- anyway, they want to merge my page into a brand “location.” In doing some research, it appears that I will keep my likes, my photo albums, my cover art etc. Since they can’t push down content without a agency or third party app, I don’t even know why they want to do this, I guess control. Anyway, my question is if I am a shared administrator, can I still have content control over my physical location page only? If I put up a post will it push out to my friends list, and if I pay to boost will the ad target my followers in the same way it always has? I don’t want to loose my ability to target my physical location demographics to boost my posts…. Also, will their administrator have access to my credit card information? It sounds like your corporate group is implementing the Locations (often called Parent-Child) framework. If this is the case, then yes, you will be able to continue to do all the things you have been able to do in the past including creating posts, photos, boosting posts, etc. The Corporate admin will have access to your page the same as you do so they do have the ability to create / edit posts and images. They will not have access to your credit card information. Now, you did say “merge” above which is a different process. Again, I am assuming the Locations framework is being implemented. If this is in fact a merging of your page into another page (i.e. your page no longer exists, as it being combined with another page) then that is a different situation entirely. I was just curious how you were able to get in contact with a representative from Facebook? Every time I’ve reached out to them, they block me from speaking to a real person and/or refer me to their help pages (which of course aren’t much “help”). Do you know of a contact at Facebook that I could get in touch with to establish this parent-child framework? Hi there. Yes, we work directly with Facebook to implement the Parent-Child framework (now called Locations). We’d be happy to help you if you like. Drop us a note at info@reshiftmedia.com. Steve: great article. We want to use the spreadsheet to upload, but we don’t have a ‘Facebook Rep’. How do we get the spreadsheet otherwise? I might just do the sub pages if this becomes a problem (to get the spreadsheet). Is the result of the bulk upload the same in the end as creating multiple pages then creating the parent child relationship? In order to implement the parent-child framework, I believe you have to go through an agency. We set up our locations pages with Facebook, but for some reason are unable to post on the location pages… have you ran into this issue before and have any advice as to how to get this functionality to work? I also notice that after facebook uploaded our spreadsheet our ‘brand’ page is still categorized as a local business… does this need to be changed? If you go to each page individually you should be able to post to that specific page (assuming you are an admin of the national page). Unfortunately there are no tools within Facebook to post to multiple pages (see this blog post for details: http://www.reshiftmedia.com/effectively-and-easily-manage-facebooks-parent-child-framework-with-reshifts-social-brand-amplifier/). You can categorize your brand page however you like. We ofen use “companies & organizations” or “brands & products”. Please ensure you are an admin on the corporate page. if you then go through the “locations” tab in the “settings” area of the admin panel you should be able to drill into any child page and post using Facebook’s normal tools. If this is not working, please email me screen shots at sbuors@reshiftmedia.com. Steve, I am with a company that has three different concepts with a total of 14 company owned stores. Would you suggest this type of program if two of the three concepts only have three stores within the concept? We are currently working on a rebrand of the concepts and want to limit some of the posts/access they have. Apologies for the delay in my reply. If each concept only has a few stores (say under 5), typically the Locations framework (aka Parent-Child) is usually overkill. With only a few locations it is usually not too hard to manage them without the need to implement the framework. First of all, it is really cool you are still taking the time to answer everybody on this message board. I have a small social media company, and one of my restaurant customers has 4 locations and would like for me to merge them all into 1 Facebook page. From reading your replies, it sounds like they should just keep all 4 Facebook pages and consider Facebook Locations once they hit 10 locations. Do you agree? My last question is, being I am an agency, how do I establish a relationship with Facebook to even offer Facebook Locations to my customers? At 4 locations it is really up to you. If the company intends to stay at 4 restaurants then merging them all into one page may be fine, knowing that having one page does limit geographic visibility & check-ins. However, if the company is growing locations or if geo-location & check-ins are important then yes, I would suggest that having individual pages is the way to go. I work for a nonprofit with seven regional markets, that should each have their own FB page. It seems like the Location Pages function on FB will be a great tool for us. However, we don’t have a dedicated FB Account Manager. How do we go about getting one? Are we a candidate for a FB Account Manager if we are not buying ads through FB (or anywhere for that matter)? Please help point us in the right direction. I certainly do not want to speak to Facebook – but yes, typically to earn an account rep you do need to do some advertising with them. If you like, we can certainly help set up the Locations framework for you. I can be reached at sbuors@reshiftmedia.com. 1) Do these active pages now become the new locations page or does FB create a new page? 2) If these are the new location pages – do I need to be an admin of the pages in order to request them to be added? 3) What happens to the rogue check in pages – do I need to claim these first? 1) Yes, you can include existing pages in the framework rather than create new ones. This way you can preserve your likes, content, etc. 2) No, you do not need to be an admin on every page. The process can be automated to “pull in” any existing pages and create new (for any locations without a page) whether you are an admin on them or not. 3) No, you do not need to claim them first. In fact, what we typically do is set up the framework first, then claim & merge each of the “check in” pages into the corresponding local page within the Locations / Parent-Child framework. Hope that helps! Please feel free to contact me at sbuors@reshiftmedia.com if you have further questions. I just recently joined a new company to help expand its activity on social media. I was now thinking of creating child pages for the 40 stores we have in Germany. However, a colleague claims that FB doesn’t allow this unless you’re spending a certain amount of money on facebook ads – over a longer period of time. Is this true? Or can anyone make use of FB locations? No, you do not need to spend money with Facebook to qualify for the Locations (Parent-Child) framework. Any company with a sufficient number of locations qualifies, regardless of ad spend. However, only Facebook can activate the Locations framework so you do need to coordinate with them to do so. If you like, I’d be happy to provide additional details at sbuors@reshiftmedia.com. And now Steve? How is for store-locator/parent-child with the introduction of Business Manager? Not entirely sure I understand the question. Business Manager is a great tool which we are using quite a bit for our business, but it does not replace the functionality provided by the Locations framework. Happy to attempt to answer any specific questions you may have. Thank you so much for this post! I already had the framework set up somehow, but I didn’t know about “Manage Locations”. This makes it so much easier. One question, if you have time… a few of my locations aren’t listed, however they already have a “Place” page on Facebook. I tried to select this “Place” page to add as a location, but it won’t let me do that. If I just go through and create a new page for the location, then how do I manage all of these random place pages that people create when trying to check in, etc. For a “place” page you first need to claim it. This can be done via the little “cog” at the top-right of the page where you can then select “is this your business?” Follow the steps provided there to claim the page. Once you have done so, the places page will become a normal business page and then you can attach it to your locations framework if you like. Dru – you need to be an admin on the pages you are adding as locations pages. So unfortunately you will need to claim each of these. Its rather tedious but it seems to be the only way. Thanks for jumping in! Yes, you are absolutely correct. The places page must first be claimed before it can be included in the locations framework. I need to manage 2 locations of the same company. When I create separate pages for both pages, customers are likely ill informed about our location since our headquarter is in another city. Therefore I give a high value to including all of the locations in one map and on one page. Is it not just possible to add another address and keep one page? Since I would also like to post everything only one time and that it is visible for all of the offices. Unfortunately no, each page can only have one address. I have seen some companies include multiple addresses in the “about” section, but that does not impact the page from a checkin & geo-location perspective. Remember that a minority of people will actually visit your brand page – the vast majority of people consume your content via their own news feed. So it isn’t so much about your page – it is about the people you are reaching. I filled out the spreadsheet for locations but i still get an error about the Latitude and Longitude even though that i used Bing Maps to find the correct format for the address and the Latitude and Longitude. What would the problem be?. Any new locations added to the framework via the admin dashboard should be included in the map. I would suggest (1) confirming the location is in the admin dashboard under “locations”, and (2) individually examining each location page that is not showing up to ensure it is, in fact, mapped properly (using Bing maps specifications). I have the locations setup up for our Franchise in Australia and NZ. I’ve got a couple of questions. 1. I’ve notice some of larger companies are able to display their names for example “Mcdonalds Melbourne”, whereas it makes me display our name “Mcdonalds (Melbourne). Making it mandatory to input a location descriptor. I would love our names without the location descriptor, Any ideas? 2. On one my countries parent page will not show the nearby locations tab on the app or mobile version of facebook. On the other country it’s the opposite. Any ideas? 1) Previously Facebook allowed local pages to have any name you like. They have recently moved to a standardized naming convention which is why your pages are being named the way they are. Hi Steve, nice article! Is there a way to “share” locations between parent pages? For instance, a Corporate page has all locations (nationwide) claimed under the brand page. But if I want to create a new brand (parent) page at the state level and include all locations within the state as the children pages, all the while they’re still claimed under the national corporate page, is this possible? Unfortunately no, there is no way to “share” child pages across more than one parent. Each page can have only one parent page. I am managing a company’s Facebook page and they have 6 locations. Would you recommend the locations framework for them? If so, where would I obtain the spreadsheet and who do I send it to? 1. The difference between ‘Facebook locations’ and ‘Facebook Global Pages’ my understanding is that locations is if you have brick and mortar store in different locations geo-graphically and Global pages is more for an international brand with country presence. 2. If switching to the Global Page structure do you need Facebook to assist with this transition? 3. How long does this process take? 3) Varies depending on how busy Facebook is. Can be anywhere from a week to six. Hi Steve, Our brand is a multi location retailer and we use facebook locations. Recently we merged with another similar retailer and are taking on their brand name. We will go through the page name change process then a merge for the brand pages, but are wondering how this will work with our location pages. 1. Do we just need to do name change requests on all of our pages. 2. When we change the main page name is there anything we need to be concerned about with the connected location pages? Thanks for any help. A bit hard to say without knowing the details, but in general it sounds like you are on the right track. One potential issue for you to watch out for is that Facebook has recently changed the naming convention for locations. Now all pages need to conform to a convention where the “child” pages carry the “corporate” name with a location modified in brackets – i.e. “brand name (location)”. This should only happen if you set up a new Locations framework. What might be easier is to retain your existing corporate page (which should be grandfathered with the old naming convention) and simply change the names of those pages and attach any new pages to that existing corporate page. Hi Steve, thanks for getting back. I have a client who is insisting that we can conduct the change over to Global Pages ourselves without Facebooks help. What are the pitfalls of this approach? Also on the default page how does this work, do we set certain countries as the default page i.e. English speaking countries? You can create each of the individual country pages yourself without issue, but to create the automated IP redirect to the proper country we’ve always worked with Facebook. I suppose it is possible there is a self-serve option but we have not used it. Hey Steve if we merge our brand page that has locations into another brand page. What happens to those locations? If I understand your question correctly, I believe the end result will be your brand page will be gone (merged into the other page) and your locations will no longer be connected. Hi Steve. We are a restaurant chain of 18 locations. We have the Locations framework setup for our parent page, but whenever we go to make one of our 18 location specific pages a Location under our parent page it says the Page Names don’t match. Only difference is the 18 location specific pages have the dash appended at the end of our brand name. Renaming all the location pages isn’t an option because we went through a process to get the naming convention consistent and Facebook doesn’t allow us to rename the pages again. Really don’t want to create new pages for each location and lose all our likes, posts, photos, etc. Is there anything we can do to get around this page name block? Yes, Facebook has made a change to the Locations framework where they now require all local pages to be named exactly the same as the corporate page. This has caused quite a few issues to say the least. Ideally you should simply change the local page name to match the corporate one and then you should be able to add it to the framework. This has proven somewhat problematic as it sometimes results in an error that says “a page with that name already exists”, which is counter-productive as you obviously need to change the name to be purposely the same as the corporate one! If you run into this sort of an issue, we do have a method to manually do this programatically if necessary. You can contact our COO at kallen@reshiftmedia.com if you are stuck. Thanks Steve. Unfortunately we already went through the Page rename process to get all our pages using a consistent naming convention (brand name – city) before the change that the page name has to be identical to use the Locations framework went into effect. Does your manual programmatic approach still work even if the Pages in question have already been renamed previously? Yes, it should still work. Note that once the local pages are manually added to the Locations framework the name will automatically change to conform to Facebook’s new standard format. Will the child pages admin still be able to post on the their own pages if they do not have admin access to the parent page? Also I was told the likes merge with the parent page, is this not correct?? Yes, the local admin will continue to post as they always have before. If they do not access to the parent page they will be able to post just to their local page (as they did before). No, the likes do not roll up to the parent page. This was true several years ago, but is not currently the case. Checkins do roll up to the parent page. Thanks for the reply Steve! So no existing likes are counted with the Parent page at all once they have been added to the location? Also, last question : could changing the Facebook URL of child page have any negative effects? I am trying to upload the locations but It is coming up with the error message that the names do not match even though they do but I noticed the URLS dont have the parent page name in it. Some pages are under 200 likes so I was going to change the URL but I am worried this will affect the page somehow? The “likes” are only on their respective pages – they do not roll up. The Likes on the parent page represent people who liked that page specifically. The URL has no impact at all so I would not worry about changing it. Hi Steve, We have a few brands that are planning to expand internationally, we have Facebook pages set up in 2 of the 3 different countries. We want to create a global page, how would this work? Do we need to setup parent child relationships before we can create a global page, and can is there minimum requirements (like page likes and spend) in order to create a global page? No, there is no requirement to set up Locations (i.e. Parent-Child) in order to do Global Pages. You can do both if you like, but there is no requirement to do so. Global Pages is a separate piece of functionality which can be implemented on its own. There are no minimum requirements. You should contact your agency or Facebook rep to help with the setup. If you don’t have either of these we can likely be of assistance. Steve, how come only an agency and a facebook rep can do this? is it because of ad spend? I don’t believe there is a minimum ad spend required to set up Locations, but you do need to coordinate directly with Facebook. If you have a Facebook rep they should be able to help you, otherwise an agency is the most expedient route. Hi, My company has a main (parent) page and then about 100 (child) pages. I just created another page (child) but I am getting an error. I named all my pages with the location of that school. For example: Empire Beauty School at Pottsville, Empire Beauty School at Boston, etc. But, now with the new page it won’t let me add the name – Empire Beauty School at Tampa. I keep getthing this message – “Page’s name should not contain city or street. They will be shown in the location descriptor and appended to Page’s name.” Is there a way around this. My main parent page is called Empire Beauty School and I don’t want all my location pages to have the same name. Unfortunately this is the new Locations naming convention that Facebook requires. Previously, Facebook allowed individual pages in your Locations network to have slight name variations, as long as each name started the same (i.e. – your main Facebook page could be called Store ABC, but your individual location pages could be named Store ABC New York, Store ABC #123, etc.). This is no longer the case. To ensure consistency and make it easier for customers to find the correct location when searching for your brand, Facebook now requires all of your pages to be named consistently. For example, if your parent page is named Store ABC, all of your child pages must be named exactly the same. It’s amazing to see that you are still responding to everyone on this page. We are a non-profit that is expanding our programme into other countries. We currently have the main page and want to add a child page, and as time goes on add additional pages. I am considering just using the main page for now and waiting to establish child pages when we have more locations. If I do this, can I geotag posts from my main page to speak to a local audience at another location or is it best to go ahead and start the first child page from now. However, without the parent-child framework suggested for 10+ pages, how will I control my brand and programme? I’m really struggling here to figure out how to get started on building out my international FB strategy. If you have only one location then no, we would not suggest setting up Locations yet. You can target geographically from your “corporate” page as you mention. The other option is to set up a local page (w/o Locations) which is aimed at “speaking” to that local audience. Once you have 5 or 10 local pages then you can go ahead and tie them together via the Locations framework. Hi Steve. I work for a grocery retailer with about 164 locations. How do i get this feature “turned on” so i can create a page per location? We can help you with that, if you like. Please contact Kirk at kallen@reshiftmedia.com. Very informative post and excellent ongoing support on this topic. So . . . looks like threshhold for implementing the Parent-Child is 5 locations now? We usually recommend not implementing it for less than 10 pages, but it depends on your resources and industry. I stumbled upon Ben & Jerry’s Facebook pages. At a first glance it looked like they were using Facebook Locations, but given Steve’s answer to the first comment, I’m having doubts. How can they have unique Facebook pages for each market (or language), but all of them with the same number of followers? If they have the same number of likes for every page, it is likely that they have implemented a different Facebook framework called global pages (see: https://www.facebook.com/business/help/331800410323820). That indicates that they have Global Pages set up, which is different than Locations. First, I’d like to thank you for sharing with us all these useful information about Facebook location. Im working with a digital agency here in Italy and at the moment we are working with a frinchise client with more than 250 locations. I would like to propose him the set up of Facebook location but i have no idea how to get in touch with Facebook. I red that you provide this services and i’m interested in knowing more about price and all the details. Who can i get in touch with? Can you share the (paid) advertising dynamics between brand/location pages? I believe ads can be created by the ‘Super Admin’ with the option to select which location pages receive the content but I think this can only be executed from the main brand page. Is there a way for this to be executed locally? Basically, can the brand page admin (or agency) create a ‘catalog’ of standardized posts and/or campaigns, that live in the Ads Manager area, and then provide access to the local page admins to implement (at their own cost)? For example, if brand XYZ would like to create generic content around specific messaging (lets say Grand Openings), can that creative be built out (within the Brand Page Ad Manager or Power Editor dashboard) and then be made available to the individual location pages via some kind of restricted admin access for implementation at the location level page? Does this make sense? Facebook doesn’t offer that functionality, however we have software that enables you to do that. Please contact Kirk Allen (kallen@reshiftmedia.com) for more information on our Social Brand Amplifier ads product. Would it be a good idea to set it up UNDER an existing facebook (business) page- would it be quicker to qualify if the parent facebook site/page is already qualified as a business on Facebook? Most business pages representing a brand with multiple locations will qualify for Locations. It will not affect the speed of the implementation. We have a client that is using Facebook Business Manager and I am at the employee level within Business Manager. On the main brand page I am an admin. When I am trying to add a new location through the brand page I am told I do not have enough permissions to create a new location page. Is this because I am not a super admin in Business Manager or is there something I am missing? If you are an admin on the main (corporate) page then you should have access to the locations and be able to add in a new page. We have see instances where there is a “page owner” level which sometimes causes issues. If you see a “page owner” on the corporate page, then it is best to contact them to assist. Hope you are having a good time. We have several location in different countries. I have requested for locations but do not know how to contact facebook representative. Could you please help? Thanks. You usually need an agency to help you set up Locations. Please contact info@reshiftmedia.com for a quote. Could you please tell me how I can fix this. Thanks. With Locations, your local pages must have the same name as the main page — though local pages will have city names in the brackets descriptor. So if your main page is called Store 123, your local page will be called Store 123 (Brooklyn). If your local page doesn’t follow that naming convention, change its name before you try adding it to the Locations framework. When I try to change the name to match the same page it says I can’t, as I already have a page with that name! Stuck in a loop…. I have multiple locations set up under my brand. One of my locations has three separate clinics in it. Facebook won’t let me add my existing pages as another location because there is already one at that location. I need to keep all three of these separate as they practice different types of medicine and will have different posts. I tried labeling them as Suite A, Suite B, and Suite C, but I still get the error message that the address matches a location already in my list. Do you have any suggestions? I don’t believe you can have the same page name/address for multiple pages, but I’ve never tried that before. Is there any way you can name the pages something slightly different? The page name doesn’t matter. They are multiple locations under a brand page so they will all be named the same as the brand page. My problem is there are I would like three location pages for one location as they are essentially different clinics in the same building. Since they all practice different types of medicine, they would like to have separate Facebook pages to do posts specific to their clients. The three clinics aren’t very keen on sharing one Facebook page. Facebook is not letting me create three pages for one location. I was hoping there was a work-around. I am looking at getting the Locations option set up for my business. We have been in business for 5 years so you can imagine we have a variety of previous posts, reviews, photos, etc we’d prefer not to lose. Perhaps I’m reading this wrong, but it appears that it’s giving me the choice of either losing our checkins, ratings, and reviews on our page; or losing all the posts, photos, etc. we’ve posted in the past five years. Any chance you can help me out here? Thanks so much! -migrate the address to a new location page. Your content will stay on the main page, but your local page will retain the reviews and checkins. I really appreciate the response. So it sounds like if I use our current page as one of the sub location pages, it will keep our content (posts and photos) on the main page, correct? You cannot continue to use your current page as a location page. You will have to migrate the address to a new page, and remove the address on your current page. Your posts will remain on your current page, and your new local page will have no content yet. I have the same problem as couple people before me. I have a parent fanpage and I want to add three existing fanpages to it as locations, but I can’t, because they have different names. And I can’t change the names, because I get an error. Any ideas how can I get around it? If you’re getting caught in an error loop, this is a Facebook issue and you’ll need to contact them to change the page names. No no, I mean: I have a fanpage called XYZ and two others called XYZ Location 1 and XYZ Location 2. And now, when I try to change those names to add them as locations (as Facebook now requires), I get an error that I cannot change it to XYZ because I already have a page named like that. I’ve read somewhere in the comments here that there’s way around it. How do I migrate the address? I only see the option to remove the address from the current page and when I save the page, it reverts and adds the address back in. This location framework looks like it could be very useful for us as we are a hotel group with 20 hotels, however, as much as I can see, all of our child pages should have the same name as the brand page? That can’t be implemented for us as each of our hotels has a unique name regardless of being under the same brand. My question is do you think we would be penalized for not using this feature in the sense of being ranked lower or our content being shown less? Also, do you think facebook will allow differently named child pages to be added in the future? You shouldn’t be penalized for not using the feature, though I’m not sure if Facebook will change their naming policy. You need to work with Facebook directly (or an agency if you don’t have a Facebook rep). Please email info@reshiftmedia.com for a quote. I believe you need to ask Facebook to remove the Location tag from your page. Did you contact Facebook directly when you set it up? If I change it to “Never show” it deletes all of the already shared content from all of the child pages, which is no good. And the “Always show” option -always- pushes every post from the Parent page to the Child pages. Is there some way around this beyond using a third party app? Any insight would be appreciated. Thank you. Please email info@reshiftmedia.com for more details. Hi Steve! Carlos here at Chicago, I started managing couple of business pages for some of our businesses, and some of them have multiple locations. I want to find a way that we can integrate them into the parent business page. Please let me know how it can be done and the cost. Please email info@reshiftmedia.com with information about your business and its existing Facebook page, and we’ll get back to you with a quote. Hey there! I work for a property management company that manages multiple apartment home communities for other ownership groups. Each individual property has a separate name, separate logo, etc. but all properties still have the same policies and brand identity and are all controlled by one marketing department; would this situation be appropriate for the parent-child setup? Hi Steve and Jen! I am trying to import multiple child pages to the locations feature but it keeps giving me an error “The Location’s Page name needs to match the main Page’s name”. I know that I have some small differences between the main page’s name and the location’s name; I tried to edit the location’s page name to make it exactly like the main page’s name, however, the renaming wont go through because now I have duplicate names (main page and location). Could you suggest another way to get around this problem? would highly appreciate it. This is a bug that sometimes happens with Facebook — you get stuck in an error loop. Unfortunately, the only way we’ve been able to get around it is to contact Facebook for help. In order to set up Locations you must work with Facebook or an agency. For a quote, please email info@reshiftmedia.com. Our shopping centers are considering implementing the Parent Child function. 3 locations are currently sharing one page that generates over 18,000 fans. Is it possible to start off as a Parent-Child page to keep our fans, then later down the road separate each property? You can turn your existing page as the main Parent-Child brand page, and then when you set up locations you can add new Facebook pages for each shopping center. Note: main pages in the Locations framework cannot have addresses attached to them, so you must remove the address from the existing page. When you do that, you may lose all of that pages reviews and checkins (but not its fans). Hi Jen, I’m interesting in recommending this for a client here in NZ. Have emailed your info email, but is this something your team can manage from over there? I’m working on setting up our business with the Locations function. Currently we have two locations and are planning on growing. Once I’ve set up the two locations, people are no longer able to see our facebook page when they try to check-in at a specific location. When the list pops up, they get a handful of unofficial pages that have been set up over the years. Any advice? Thanks for publishing this article and for all the support you guys have been providing on this thread. It’s been very helpful. We currently have Locations (several Child pages and a Parent page), but are interested in switching over to Facebook Business Manager for better visibility and team infrastructure. Do you know if switching to Business Manager will affect the Locations framework? I work with several pages in Business Manager that are part of a Locations framework, and it hasn’t affected them. Impossible to contact Facebook… Do you have a solution ? Hello Steve or Jen, and thank you for maintaining this great thread for so long. My brand (a bicycle messenger service in Sweden) has one Facebook page shared by the 6 citys we work in, but now we want local pages. As admin I’ve had Locations turned on and created a local page for my city to see what happens. But when I saw that the parent page didn’t show on the map, I removed the local page. 1. Is there any way to create an new parent page with no content and allow the current parent page to be a local page (for the original city), with all existing content, videos and likes etc. We have no reviews and no check-ins. 2. In the tool on the parent page for creating new locations you can choose to “Migrate location information” (my translation). But as I understand it, this will leave behind all content? A parent page cannot be a local page, because parent pages are not allowed to have street addresses. So the parent page acts as the “brand” page, with the city pages underneath it. When you migrate your parent page to a local page, the content should remain in tact. You guys är amazing, thanks so much for the quick answer. My follow up question is, is it technically possible – for an agency such as Reshift – to transfer existing content to alla new locations while also leaving it on the parent page? We have quite a bit of nice diverse content including video and lots of photos that mostly belongs to two of the cities (Stockholm and Malmö). It would be nice if that content remains available on the new local pages. Our plan is to primarily create new content from the parent page to be published on alla pages, but we want to get local likes and check-ins. Thank you for your informative feed and replies! We recently created location pages for our 108 individual business locations. Our goal is to have them tied to our company’s corporate page, but to also populate them with unique content specific to each location. It’s my understanding that Facebook is in the process of rolling out a feature which will allow you to post individually to each location. Is this correct? In the meantime, is the most appropriate option to retroactively create a Page for each location and claim it to the accompanying location page? For example, if our Alabama store currently has a location page, should we create a Page for the Alabama store and claim it to its location? Or is there another option to post to individual location pages? Additionally, is there any way we can claim Places for a business without documentation, email or a phone number? As you can imagine with 108 locations, we don’t have information for each one readily available and this becomes incredibly time consuming. However, there are multiple Places for each hospital that are gathering comments and reviews that we need to merge to its specific location page. Thank you for your help! I appreciate any and all feedback. We have created software that allows you to post unique content to your local based on groups you create sorted by geography, promotions, etc., as well as cascaded national copy down to the local pages you choose. For more information, please contact Kirk Allen at info@reshiftmedia.com. In terms of claiming places pages, you need to somehow prove ownership of that location. An email associated with your Facebook profile that has the same domain name as the places page is usually the easiest route. Thanks, Jen! Do you know if posting to individual location pages is possible without software? Is this a feature that Facebook currently allows that I’m somehow overlooking? Hi. I am having an issue with some of the information from my main page syncing with a few of my location pages. For example, I have 89 location pages in total, but there are 5 that seem to be having issues with the cover photo and profile photo matching the main page. It’s supposed to default to those images from the main page on each location page, but for these pages in particular, this is not the case. How can I resolve this? The images will sync with the main page if you (or a local admin) has not updated the local cover image on the local page manually. If that has happened, it may no longer sync when you update the main page’s cover image. Hi, Firstly we were never aware of this locations pages until now when we are coming up with one more new store. Well, We have three store locations and no main page. When we first started with Facebook page, we started with our first location page which now has 89000 likes and we have already spend quite an amount over the years for advertisement. We want to convert this location page into our main page, is that possible without disturbing the likes, post, check-ins and reviews? and then connect our three locations to this. Please help, Our new store launch is there in this week. can’t understand how to go about it? We have kept some offers for Facebook clients, we want our Facebook page to benefit from it. Your main page cannot have a street address associated with it, and if you remove the address you will remove all of that page’s reviews. We would strongly recommend you create a new main brand page from scratch, and keep your existing page associated with the street address it already is. Facebook users have liked/followed/reviewed that specific location, not necessarily your brand as a whole, so it is best to keep that page as a child page. One question: When adding an existing Facebook Business Pages (Pages that have been set up for years with hundreds of likes and photos, etc.) to the Locations tab of the Corporate (Parent) page, everything remains on the existing page, except check-ins? Correct? Everything will remain, including check ins. 1. I am trying to setup multiple locations for one of my clients. However, when I try to ad the existing location I receive this warning “Page’s name should not contain city or street. They will be shown in the location descriptor and appended to Page’s name.”. I tried to rename the location page, but Facebook says I can’t rename it with an existing page’s name (which is the name of the main page). How to get around this? 2. My customer has 2 businesses with multiple locations, both under the same business manager – can I setup miltiple locations for one main page, then change the main page and setup multiple locations for the second business? If I da this – will the first multiple locations remain attached to the first business? Sometimes you find yourself in a renaming loop (Facebook wants you to rename a local page the same as the main page before adding it to Locations, but when you try to you get an error message saying that you already have a page with that name). Unfortunately, you need to contact Facebook to help with the renaming when that happens. I’m not sure I understand your second question? You are unable to change the main page after you’ve set up locations. Is there any way to create a locations structure without losing all of the reviews you currently have on pages? When attempting to add locations by choosing a page in Business manager, there is a warning that the page will lose all reviews. Some sub-categories don’t represent a place. You’ve reached the maximum number of locations for this Page. Please contact your Facebook representative if you’d like to add more locations. Tried everything and can’t figure it out, how do I get the 100+ locations new facebook pages? That is very strange – we have implemented the Locations framework many, many times for companies with hundreds (even thousands) of locations without this issue. Please send a screen-grab to info@reshiftmedia.com and we’ll see if that sheds any light on it. Did you contact your Facebook representative? Sounds like you may have reached the maximum number of locations for the Page. I seem to have been able to set up a “main page” however the “Add A Locations” page has disappeared? Any thoughts on this? Did you have Locations set up before? If you did but you removed all of your local pages, you’ll have to set up Locations again. Hi there, I’m having the exact same issue as John Langers. We’ve reached our 100 location limit and I have tried everything to have it increased. I’ve posted on the Help forum several times and filled out as many Feedback Forms as I can find. No luck. Were you able to find a solution after he posted last month? Thanks so much for continuing to respond on this thread and for all the valuable advice you have shared with us! For 7 years I have been using one Facebook page for my two stores and have accumulated a lot of likes, reviews, content, etc. I have just used the name of the company (no address, identifier, etc) as the name of the page. 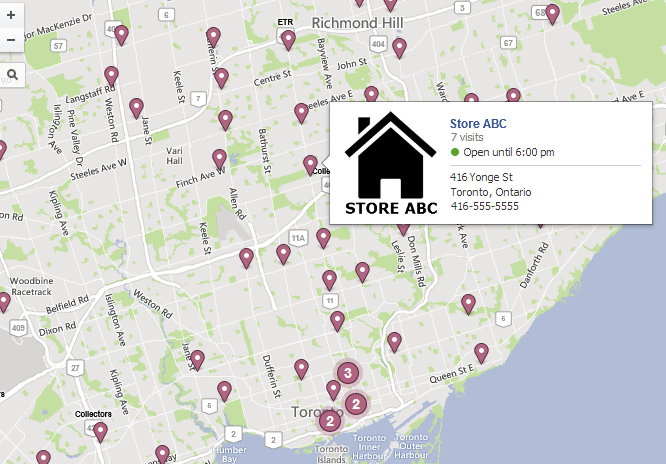 Now we are opening a few more stores this year so I am trying to enable the locations feature. I would like to make my existing page the child page so I don’t lose all the followers but I can’t setup a “parent” page since the name is already taken by my existing page. How would you recommend proceeding? Should I rename the existing page to include address so I can setup a parent page with the newly free company name? How does Facebook see that we have multiple locations when they are determining if we qualify? There isn’t really a “qualification” process. I would recommend setting up a new page as the parent with a slightly different name, instead of attempting to rename the child page. Hello, I want to implement a multi location page/s but in the business manager, below assets, I don’t have the option “Multi Location Request”. Can you please help me discover if it’s an error, or if exists another way for implementing this feature. I also thought that the page location can be a problem, the pages are basesd in Romanian, is it possible that in Romania country this feature isn’t enabled yet? I’m not sure if the feature has been enabled worldwide. You will have to contact Facebook for assistance. I have been trying to set up our company’s locations but I keep getting an error with a “This location Page ID is not valid.” message. I retrieved the number from the about section under ID in the fb page. I tried putting the main page id identical to the page id for our main branch and that did not work. I also tried creating a separate page so that the main page id differed from the page id and that did not work either.I am getting desperate and running out of ideas, please help! The “location page ID” represents the page ID for your local page, while the “Page ID: Main Page” is the page ID for your main parent page so they should be different. Are you setting up the Locations framework using a spreadsheet? Try first adding a local page manually using the “add location” button under Settings, Locations on your main page and see if that works. The location page ID and the “page ID: main page” are different but i still get an error message. I am assuming that you mean “add single location”. I have not been able to add a single location with this feature either. Under the “facebook web address” field, i try to fill it out with my facebook page but it tells me “this username is not available. Please enter a username that is not already taken”. So I use the field to enter a random username and proceed to “create”. I get a “Missing required field location.latitude” error message, but i dont see any fields that i can enter the longitude and latitude in. I can see the preview of the map but it is not interactive. I cant zoom in and out of it and locate the company on it. I have a suspicion that it may not be compatible with my browser or maybe I have or am lacking an add on, but this hasnt worked on firefox either. I noticed that when I use the ads manager and try to set up an ad campaign, the map’s interactivity would work. I can zoom in and out to drop a pin on the location. I am not able to do this when i am trying to add a single location under business locations. When I try to link the pages it says they have to have the same name. When I submit a name change, It says the name is taken. When I try to link the pages it says they have to have the same name. When I submit a name change, It says the name is taken. When I try to link the pages it says they have to have the same name. When I submit a name change, It says the name is taken. How can I bypass their conflicting rules? Sometimes you end up in an error loop and unfortunately, you have to contact Facebook for them to do it for you. My parent page has 11,000 likes and over 100 reviews. Most of those have came from one location. We now have 6 locations, and I’d like to have a unique page for each address. It is my understanding that I can migrate the content/reveiws/check-ins to one of those locations. However, what happens to the 11,000 likes. Do they stay with the parent page or do they migrate to the new single location page as well? I already had our location pages set up under our main page. But since then someone with access tried to add a location address to our main page which now caused it to revert to a location page and thus all of the locations are now gone. I tried to undo the main page address by editing it and deleting but now I still can’t get the main page to be a main page again with locations. I still see the three locations in the locations area in the business manager area. Did anyone ever find an explanation or solution for the maximum number of locations error? As an agency who works with Facebook to sets up Locations for our clients, we’ve never run into this issue. It might be a limitation of the self-serve dashboard? Hi! I work for a company that currently has Locations set up for the business (currently has 4 locations) – however the company is splitting into two separate companies with different ownership. Is there a way to remove 2 locations and to delete the parent page? Are all of the likes and content lost in this process? You should be able to remove the 2 local pages from the structure, and delete the parent page. You’ll lose the parent page’s likes/content, but not the local pages’. i have a page that was converted to brand, then we added two locations as a childs. but unfortunately we are not able to see the child pages in the facebook manager mobile app, to reply customers messages for reservations or questions. to see customers direct messages in the locations “stores”, we have to go to the page on a browser and then go to inbox and bla bla. do you know if it is possible to have a way to be see those messages or the pages in the manager app? or if another app to manage the messenger “feature” exists?